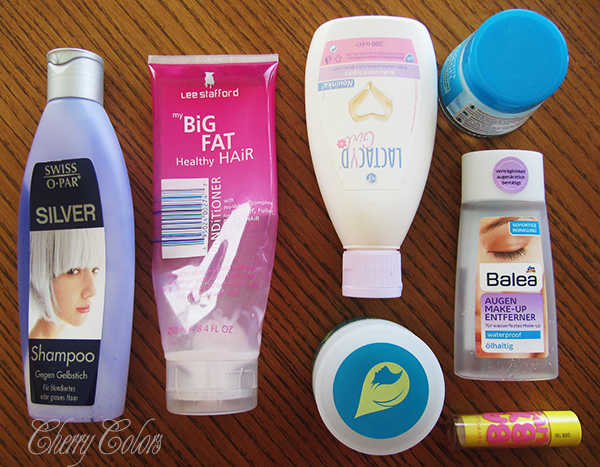 Empties #12 - Cherry Colors - Cosmetics Heaven! My last Empties post was back in January, when I finally managed to finish some products. It was a massive post, you can read about it here. Today I don't have such a massive post, because I am trying to take pictures every couple of finished products. But that means I still have one massive post to write after this one.. Yeah, it's been that long since the last Empties update =D. These are all the empty products for this post. Not much, but not too shabby, right? *claps excitedly* Okay, let's do this! This is my third or fourth purple shampoo. You see, when I was bleaching my hair, it got yellow. Very yellow and even orange. I didn't use the right % of peroxide, I need to remember to go up in % the next time (if there will be next time). I bought a bunch of purple/volet shampoos before this one and they didn't work. But this shampoo got the yellow tone out of my hair like nothing else. And I can't reccommend it enough if you have bleached hair that needs to get the yellow tone out. It's not expensive and it works! I used it up in a month an a half. Repurchase? Yes, if there will be still a need for it. Guys, the packaging is so cute! It took me a while to realize that it has a freaking Stafford on it. LOVE IT! I really liked the effect it had on my very much destroyed (fried) hair. It went from stray to silky smooth in one washing. I don't know what's in it, but it helped my hair a lot. I used it up in two and a half months. Repurchase? YES!! A million times YES! Okay, this must be one of the few non-specific lip balms that don't just wreck my lips. Lipsmackers for example, don't do a thing (good) for my lips. They end badly dry and chapped. But these baby lips balms do help with my dry lips. They aren't over the top moisturizing, but they do help just enough so I don't need them more than 1-2x per day. Good for me! It took me about a month and a half to use up. Well, I am not a young girl that would be in need of her first intimate wash. But I did however score this at a sale - it was included with their regular intimate wash. I didn't get any infections or anything, so I guess it's pretty good. A gentle wash. Took me six months to finish this bottle. This is a very light daily cream. I like it, because it's so light that my mixed skin doesn't get too worked out. I can apply it during the day and it would still be hydrated until the night. But however since I started used acid peelings it's not been enough. 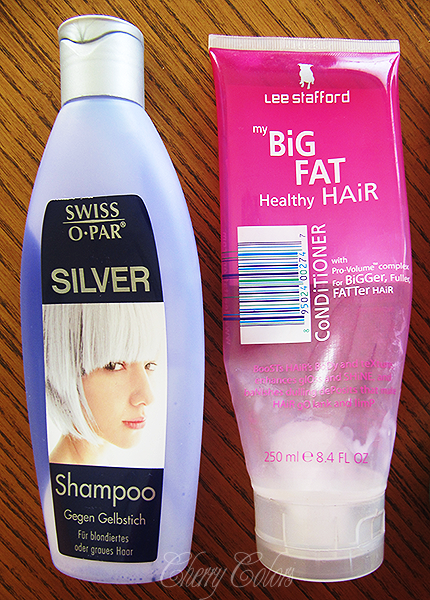 Maybe I'll repurchase it during the hot Summer days, I am sure then it would be alright. Took me about 2 months to use it up. This was a cream sent for review purposes, but since it didn't work out with my skin, I just didn't review it. It smells to the Heaven and back down. I don't know if that's true for all of these creams, maybe they worked on the formula and now it's all great? I don't know. This is a heavy cream, not suitable for those with mixed or oily skin. I got pimples because of it. Painful, under-skin cystic pimples. I also must be sincere - I didn't use it up. It just had to go. 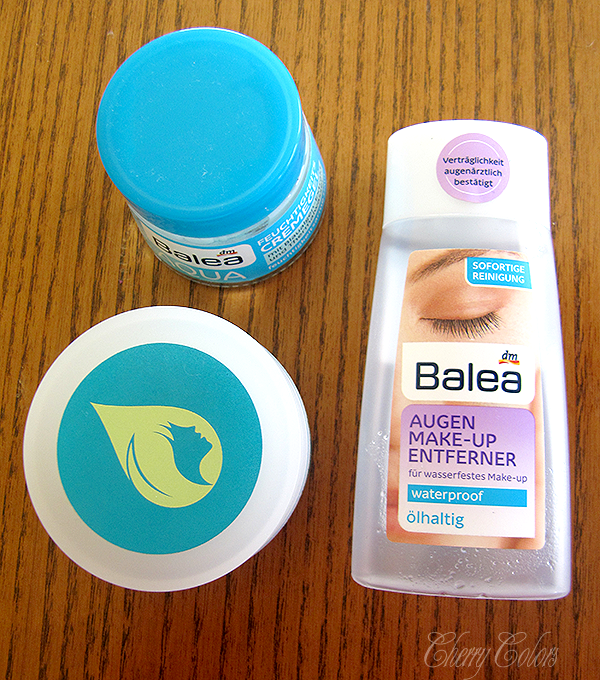 Do you know those clear/blue makeup removers? Well this is one of them. But cheaper. So, so much cheaper. It doesn't burn if it comes in my eyes and it does it's job well. I like to soak a cotton pad and then press it on my eye makeup for 30 seconds. It removes make up like a charm. And it's very affordable. And with everyday makeup removal it lasted me for about a month, a month an a half. Repurchase? Yes! More than one, please! This is pretty much it, for today. Have a wonderful day.